We are happy to invite you to our press conference set to take place on the 27th of September at 12 pm at Villa Angelia Hotel to intimate you on what to expect at the PFW® Africa 2018, we will be very happy with your attendance at this very important stakeholders conference. Thank you and please acknowledge the receipt of this email. 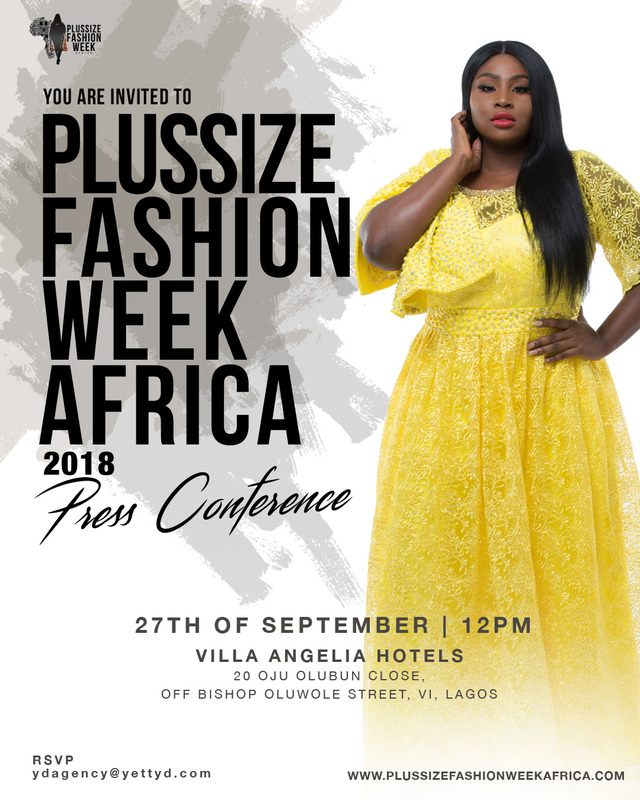 PLUS SIZE FASHION WEEK AFRICA 2018 IS ALMOST HERE, ARE YOU READY?